Archive by Category "Conference Speakers"
Reason #1: We open the proposal submission form as soon as we can. Even though the next NMX is a long time off, we open the proposal form well before the event. So in actuality, it won’t be long before you can submit your ideas! And we make decisions early. Every year, tons of people wait until the last day to submit their proposals, but the fact of the matter is that the first round of speakers is often decided before the submission deadline. So if you apply early, you’ll have less competition. Reason #2: Thinking about your proposed topic now helps you work toward that goal all year. Right now, you are probably qualified to speak about several different topics. However, you’re more likely to be accepted as a speaker if you become a true expert in a single topic. When you speak at NMX, you aren’t speaking to a bunch of 101-level students or business owners who’ve never used Twitter before (at least in most cases). You’re speaking to people who live and breathe new media. If you spend the next several months really beefing up your knowledge and practical experience in the area that most interests you, you’ll be much more qualified to speak. Reason #3: You’ll have time to review 2013 sessions. Right now, our 2013 sessions are available at NMX University. If you become a premium member, you’ll have access to all of this content, and you can not only learn a thing or two (or three or a hundred…), but you can also get a feel for the type of sessions proposals we accept. It also means you can avoid submitting a topic that was covered in detail at the last event. Some topics lend themselves well to sessions year after year, but you’ll really wow us if you submit a really fresh idea that we haven’t heard before. 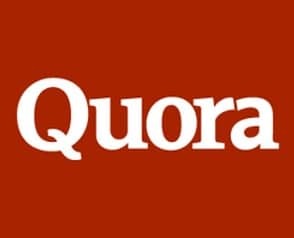 In addition, when you check out these sessions, it is pretty apparent which ones were most successful and why – and that’s something you can keep in mind when submitting your proposal. Reason #4: You have time to develop your session. The very best sessions every year are those which have been well planned. Most public speakers will tell you that they aren’t just naturally better at speaking. They practice over and over and over. So thinking about your topic now allows you to work out the kinks by practicing at home in front of the mirror or even to smaller, local groups. That way, by the time NMX rolls around, you’ll be a much better speaker. And if you don’t get accepted? 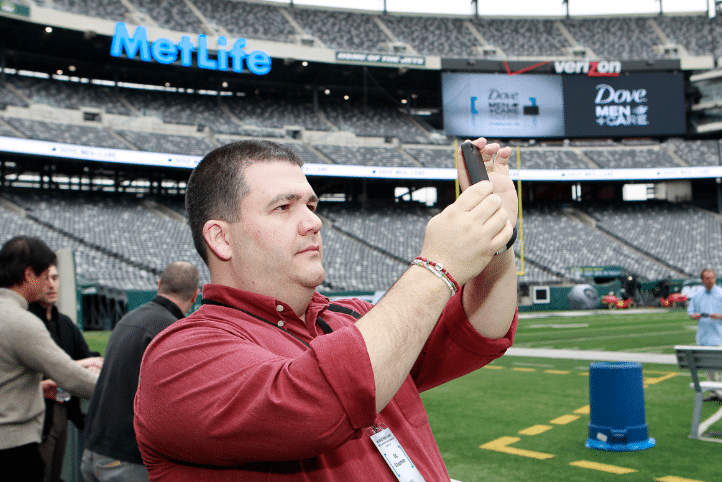 Don’t sweat it – you can always record a video for your blog or do a webinar, so the presentation won’t go to waste. Reason #5: Good ideas take time. Your first session idea probably isn’t the best idea you have in you. Coming up with good ideas takes time, and inspiration is something that can happen out of the blue. We want the very best at NMX, and by starting the brainstorming process now and keeping it in the back of your mind while waiting for the submission form to open, you can make sure that you’re proposing your very best ideas, not your very first ideas. Reason #6: You can test ideas with small pieces of content. Wondering if people will really be interested in your idea? Test with a small piece of content: a blog post, a video, or a podcast. If people are going nuts for more, you have a great presentation idea that just needs to be developed beyond the kernel of information you gave away. If you hear crickets, it’s time to go back to the drawing board. Reason #7: You’ll have time to expand and develop a product. At NMX, we don’t allow informercial sessions. Selling from the stage is a big no-no, so we ask that all speakers only mention their own stuff when it is extremely relevant to the discussion. That said, the biggest benefit to NMX is the exposure. If you’re an NMX speaker, people will be looking you up, often on smart phones as you’re presenting, but also before and after the event. If you’re speaking about podcasting 101 and you happen to be selling a podcasting 101 training course on your site, you have the potential to make a lot of sales. So plan your session now, and then think about how you can turn this session into an expanded informational product to sell. Reason #8: It gives you time to edit. Writing a proposal early gives you time to ask your friends to review. We value good content above all else, but proofreading matters. If you’re anything like me, you’re horrible at picking out your own typos. When you wait until deadline to submit your proposal, you don’t have time to ask a friend to give it a once-over before you send it off. 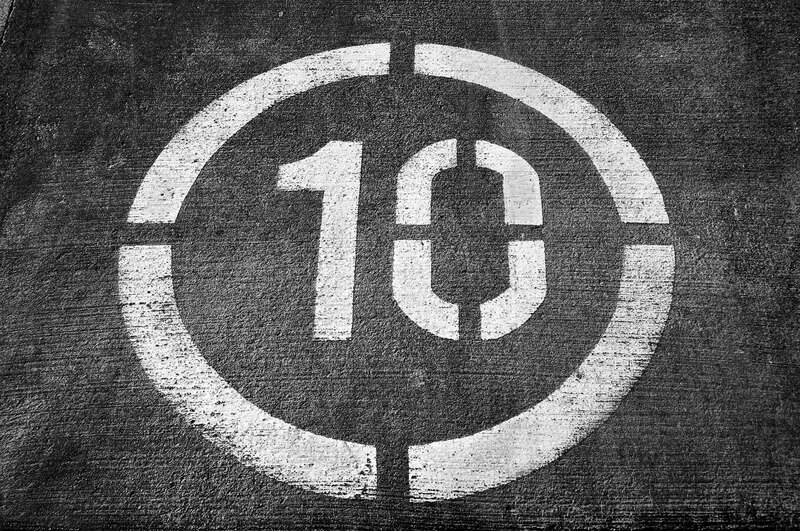 Reason #9: You might see us at another event. NMX staffers are constantly attending other events. If you’re waiting in a taxi line behind Rick or see Dave at a networking reception or notice another else from NMX, please say hello! We love to meet our community. And, if you have an idea in mind for a session, you can run it by us. You won’t get a yes or no on the spot (in most cases! ), but you will get an honest opinion that can help you write the best proposal possible when the submission form opens. Reason #10: You can use the time to become a bigger part of our community. Again, content trumps all, but we’re always much happier to see names we recognize than people who pop up out of the blue. It means you’re really dedicated to this community and you’re less likely to flake, phone it in, or pitch your products from the stage. We like that. So join us on Facebook. Be part of the conversation on Twitter. Follow us on Pinterest and Google+ and LinkedIn – whichever social networks you like best. Engage and get to know the company and the individual staff members. 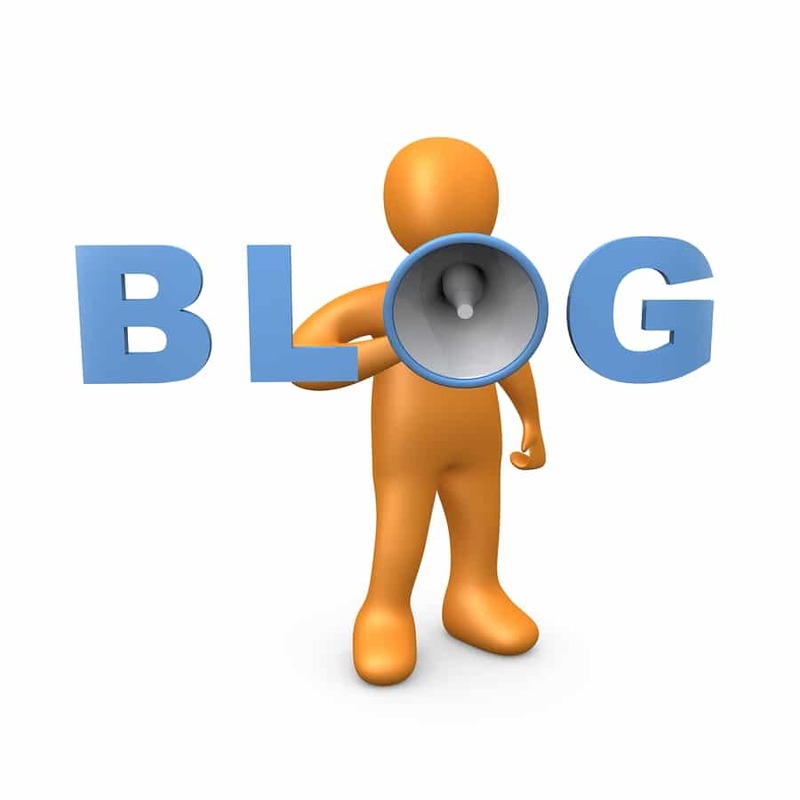 And of course, comment on our blog! 🙂 Today I want to know: what’s your biggest frustration or worry when applying to speak at NMX or other conferences? Weigh in now! 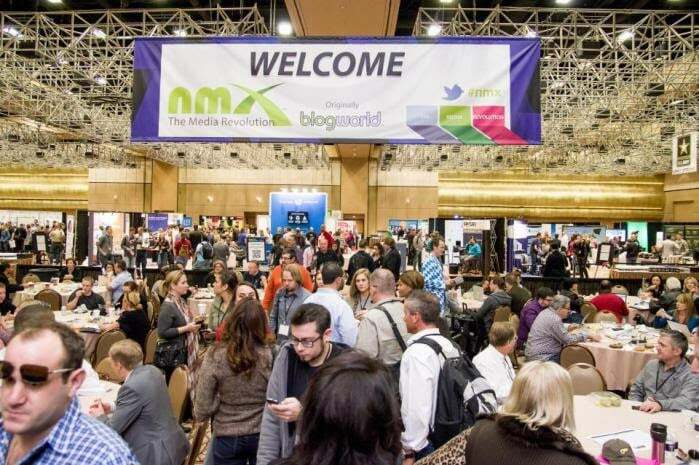 When it comes to our conference content, the NMX/BlogWorld team doesn’t take things lightly. Our speaker selection can sometimes take a while, but that’s because we want to be sure our attendees are getting the most educational bang for their buck. Though some of our speakers are popular influencers in their space that you’ve seen at other conferences, we also look for leaders and experts you may not have heard of who bring a fresh perspective to some of your favorite topics and niches. Slide presentations are presented courtesy of Slide Share. 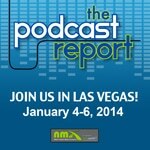 Andy will be presenting “Live Website Critiques: When You’re Too Close You Won’t See It” at NMX ’13. 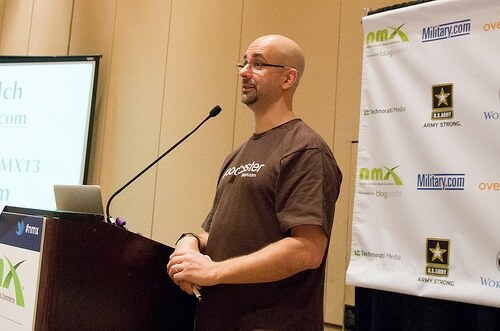 Bob will be presenting : “How to Laser Focus Your WordPress Blog in 60 Minutes” at NMX ’13. C.C. Will be presenting “How to Add Photography to Your Marketing Mix” at NMX ’13. Chris will be presenting “45 Things New Media Content Creators Can Outsource to Virtual Assistants” at NMX ’13. Ann will be presenting at BusinessNext: Social at NMX ’13. Justin is presenting as part of BusinessNext Social at NMX ’13. 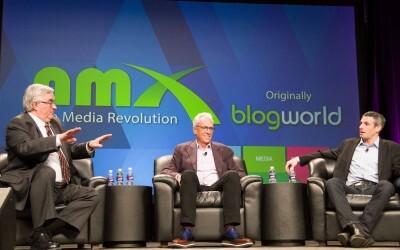 Rand is presenting a Super Session called “The Future of SEO: Social Meets Content” at NMX ’13. 9. Amy Vernon: Creating Content That Works from Social Fish. Amy is presenting “How To Build Your Blog Community: Three Top Bloggers Share Their Secrets” and “Walk The Talk: How To Write For A Global Audience“at NMX ’13. Tim is presenting “It’s Alive! 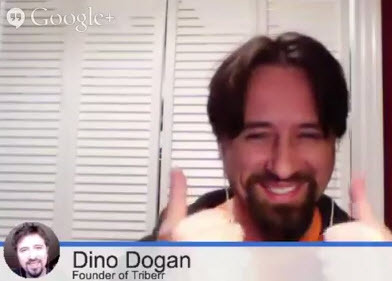 Livestreaming Tactics for Success“at NMX ’13. Natalie is presenting “How to Build A Personal Brand That Benefits Your Company” at NMX’s BusinessNext. Lee is presenting “Companies That Hit The Bullseye With Their Social Campaigns” at New Media Expo. Tamsen is presenting “A Case Study for Maximizing Influencer Outreach (or Glasses, A Love Story)” at BlogWorld/NMX. Guy is presenting at NMX’s BusinessNext. 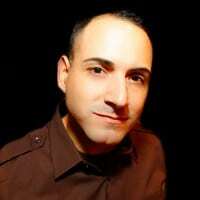 Michael is presenting “The New Influencers: Brand Advocacy Inside & Out” at NMX’s BusinessNext. What speakers and presentations are you looking forward to the most at New Media Expo ’13? It’s almost time again for our weekly Facebook Chat. This week, we’re pleased to welcome Chris Ducker as our special guest. So mark your calendars for tomorrow, Wednesday, November 7 at 10am PT/ 1pm ET. 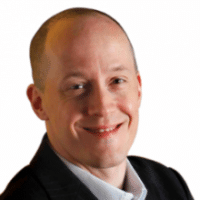 Chris Ducker is a serial entrepreneur, blogger, WebTV host, and podcaster. He owns three successful companies, employing over 300 people. He writes a personal blog, where he produces content on the subject of starting, marketing, and growing businesses in the new economy. 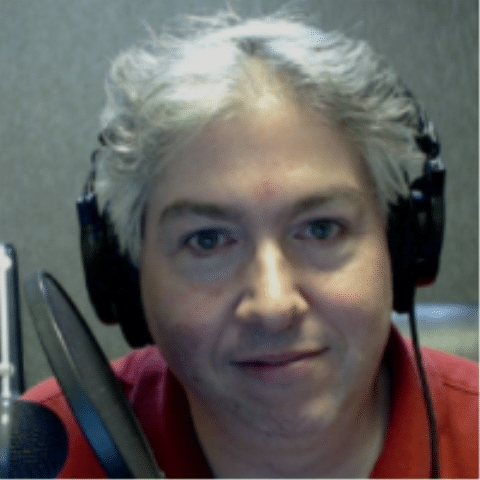 He is also the founder of the popular lifestyle design blog, VirtualBusinessLifestyle.com, and associated iTunes podcast. Chris is regarded as the go-to guy for everything and anything to do with the outsourcing industry and working with virtual staff. He is also a speaker and popular business coach. He is currently working on his first book. 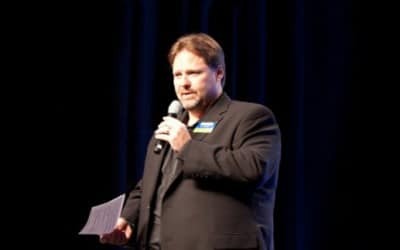 At NMX in January, Chris will lead a session entitled, “45 Things New Media Content Creators Can Outsource to Virtual Assistants to Help Grow Their Business” that promises to be a must-see. To get a little preview of Chris’ take on how virtual assistants can help you meet your business goals, be sure to join us for the Facebook Chat tomorrow, Wednesday, November 7 at 10am PT/ 1pm ET. Many times the main struggle for creative people such as writers, indie artist and social activists is to find the tools and resources to get their project properly created, packaged and promoted–whether its a book, an album or a charity event. Beyond that, it becomes even more difficult for a creative person to come up with enough money for proper promotion of their idea or project. Being able to afford a good promoter, marketing rep, publisher or manager depends on your cash flow. There are many creative people with out-of-the-box ideas who need the funding for a project that they can’t afford within their current budget. Many creatives need an assistant to come along and help them to the next level. Crowd-funding can be that assistant for some. Some of you need to find someone who is going to be the wind beneath you wings to get your idea going. If you haven’t broken into a stream of easy money yet then you are probably working paycheck to paycheck trying to gather enough money to get a decent video, a publisher for your book, an editor, raise awareness for your social cause, or craft some method to become the next social media star of the moment. Trying to figure out how to create a buzz can be time consuming. 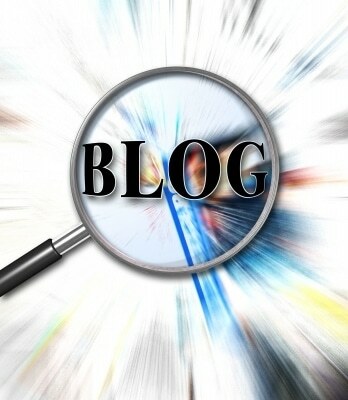 We all know by now that by using blogs, Twitter and Facebook you can create a generally decent buzz for your content or project through friends, family and connections. However, to go beyond the group of people you know or who know about you, tools are necessary to create more ways to access your end goal. Taking your project from creation of the content, to syndication through other channels of promotion, bringing it back to creating revenue can be a costly endeavor. 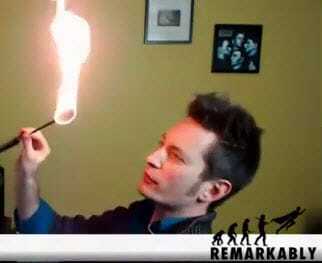 Get a kick start with crowd-funding. It is a new and unique way to raise money and awareness for your crafty idea, band or project. 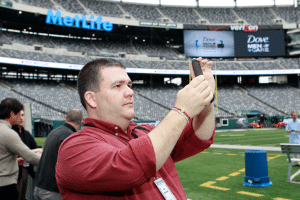 Crowd-sourcing offers a way to build a buzz and offer perks to fans. Sites like KickStarter, CauseVox, CrowdSpring, IndieGoGo, ChipIn, FanNextDoor, MicroVentures, PeerBackers, RocketHub, ProFounder, of course there is CrowdSource, and a host of others give you opportunities to offer unique perks to fans that support your campaign based upon your project and needs. This is a unique new way that you can turn casual fans and followers into partners of your enterprise. Everyone seems to be jumping on the bandwagon today. If you don’t have enough out-of-pocket money for a big tour, copy editor, social justice fundraiser or gigantic promotional campaign this is the way you can start raising money and awareness for your project, band or tour. Crowd-funding takes you beyond just social media networking and enables people to get directly involved in the brand, project or artist they want to see perform, create or release a project. This involvement is showing a lot of potential. Some indie artists, writers and social activists have been able to raise thousands of dollars in weeks and months. There are a few good sites that provide crowd-funding. Many creative people have begun signing up to start gathering a crowd to fund their projects. This method really brings things back to a grassroots-bottom up level. In this internet age, at times it seems digital media is making the world seem closer and smaller. We are gaining new avenues of accessing and being involved in the creation of content we enjoy and brands we want to see more of. If you are looking to build a media campaign, start a social justice project or have your project promoted on a higher level than you can do with your own funds–then crowd-funding is for you. Editor’s note: To learn more about crowdsourcing, be sure to check out Jeramiah’s session at NMX entitled, Three Very Unique Ways to Build a Massive Community. Image your website just got hacked and you don’t know how to fix it, and don’t have the time to deal with it. Or, suppose you just found out about a new way to take your business to a whole new level, but you don’t know anyone with the knowledge and time to actually make it happen, and don’t have the bandwidth to figure it all out yourself. How are you going to find someone to help you out if you don’t know where to start? Reach out to your contacts and friends? 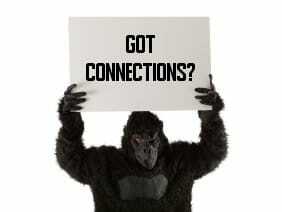 Scour your contacts on LinkedIn? Or maybe you’ll just hit the message boards and try and figure it out yourself. Before we go any further, let’s take a step back, and think about why you are scrambling to begin with. You lack that go-to person with the skills, time, and knowledge to help your business, who is willing and able to give you a hand. 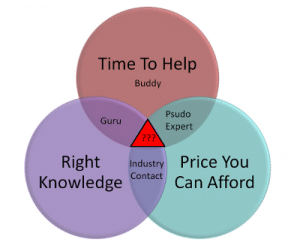 Your buddy might do it for free, but probably doesn’t have the knowledge you really need. The expert who has just inspired you to take action is great for the 1,000 foot level, but chances are you’re going to pay through the nose for their expertise, or spend hours digesting their material. You could try and hire someone on short notice who is a pseudo-expert, but it could be hit or miss if they really can deliver when and how you need them to. So you’re on your own – either trying to do it all yourself, or maybe passing up on a great opportunity to grow your business because you simply don’t have the bandwidth to act. It’s rather ironic that in this age of some much interconnectivity, it’s actually harder than you might think to get many of our common problems solved. Interconnectivity is a double edged sword where the same ease of use that allows us to connect with so many people and ideas also brings so much noise and makes it difficult to find folks to really give us a hand when we need it. It doesn’t have to be this way. Suppose you had a mastermind group of 10 to 15 handpicked professionals who know you, a specific facet of your business or industry, and who are willing to not only offer you advice, but have the knowledge and time to do some serious work for you right now. The good news is the road to developing such a network is straight forward, inexpensive, and can start yielding fruit very quickly. Leveraging Virtual Assistants can be an effective and often untapped resource not just to get work done inexpensively, but more importantly, it can be used as a tool to build a long term global network of professionals you can tap into months and years ahead. I’ve managed over 100 VA projects over the past few years, and it’s amazing the great relationships and diverse network that starts to develop on even the smallest VA project. Assembling a team of All-Star Virtual Assistants whom you have a great relationship with, who understand your business, and are available for quick questions or large projects can really transform your business. When some folks hear about Virtual Assistants/outsourcing, they think of low paid and unskilled workers, who can yield scattershot results. This perception touches on an important fact – learning to find quality VAs and successfully utilize them in your business is indeed a skill that takes time to master. However, with so little downside and risk, and so much potential upside, it’s a skill that’s well worth developing if you want to take your business to the next level. There are well over a million Virtual Assistants worldwide, with skills ranging from entry level to PhDs, and the opportunities are truly massive. Right now on oDesk alone, there are close to 100,000 VAs with a feedback rating of 4.5/5.0 or higher, and of these, over 10,000 have over 1,000+ hours of experience, at a median price of under $10/hr. These are folks that know how to reliably provide value to your business day in and day out. I call them All-Star VAs. When you consider some of the obstacles many of them have had to overcome to successfully and consistently work with European/Western clients (power outages, learning a foreign language, working in a timezone 8-12 hours away) they exhibit some serious hustle. They have overcome barriers you and I will never face, spent countless hours building and developing their brand, and have been able to rise to the top 1% in their field. I have found this shared entrepreneurial bond between All-Star VAs and small business owners often results in amazingly strong and productive working relationship. 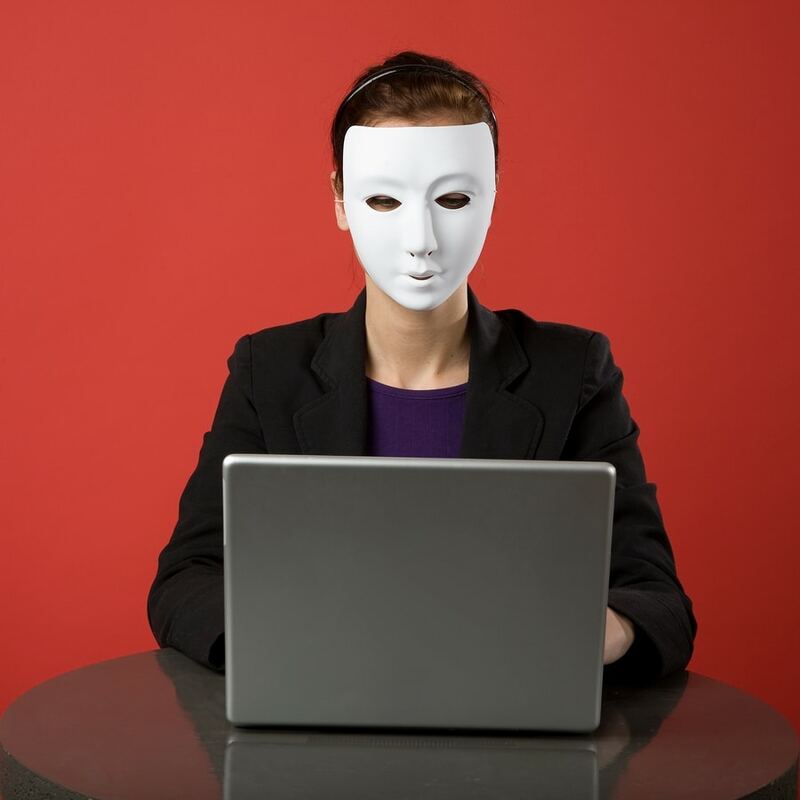 Test projects for $10 – $50 can be posted on sites such as oDesk, and can be posted in a matter of minutes. It’s very easy to try a number of different projects, and the chances are quite good that you’ll come out ahead while you learn the ropes of VA delegation, all while rapidly developing your business network. Below are five steps to start you down the path of building your business network using Virtual Assistants. 1) Assess the Need for a project you could hire a VA to do. 2) Post a Job on a site like oDesk, Elance, etc. using other similar posts as templates for what to include. 3) Prescreen the Applicants through e-mail and Skype. 4) Leverage Your Selected VA to perform a trial project – this involves not only getting a job done, but establishing a relationship with them as well! 5) End the Project, taking full advantage of the work while learning to hone and refine your process for your next project. Where do you want your business to be a year from now? What areas could you use some help down the road? Consider investing your time in searching for All-Star Virtual Assistants who might become part of your business mastermind group, and can help bring you future success and less stress in the coming year!